Average cost of dental implants: It is said that you never know the value of something until you lose it and teeth are no doubt a very important part of a human beings life. Our teeth are important for eating and also help makeup our smile which is an essential part of well being. However there are some realities that we have to live with in life, the older we get we are bound to lose our teeth because of disease, accidents or the wear and tear. After we lose our teeth, we begin to realize the crucial role that teeth play in our lives. Dental Implants not only look good, but also feel and perform just like normal teeth you are born with. They are the epitome of aesthetics, usability and functionality all mixed into one. Dental Implants have in the past been associated with high dental treatment costs however the average cost of dental implants has recently come down in accordance with the changes of the economy. Dental Implant treatment is becoming more accessible to the general population today than it ever was before. What is the Average Cost of Dental Implants in the UK? That is the number of missing teeth; the more the number of teeth to be replaced the less it will cost per tooth to replace. Type of implant used. There are many different implant brands, some being more costly than others. Type of abutments used. Different abutments will affect the cost of treatment. Some abutments are customized to each restoration while others are prefabricated. 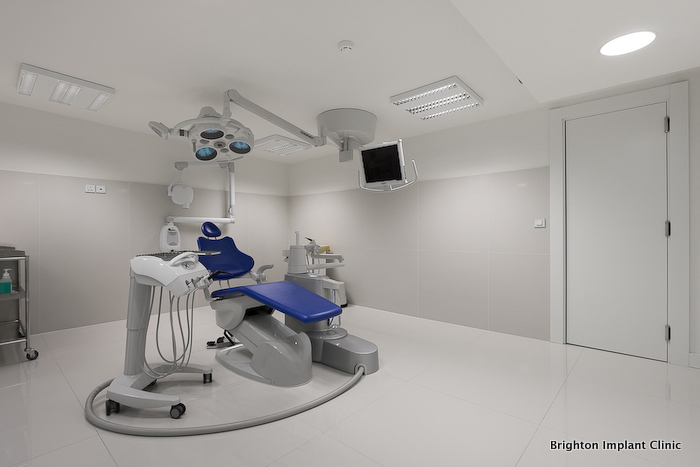 Different types of material like zirconia which is used for high aesthetic areas are also more costly. Type of crowns used. Metal fused to porcelain is by far the most common type of crown used on implants today. Metal free type crowns made of zirconia will also affect the average cost of implant treatment. The dentist and dental clinic carrying out the work. Clinics in the UK have higher operating costs when compared to many other countries, therefore the average cost of dental implants may be higher in the UK. What essential parts/components are needed to complete a dental implant treatment. First step a titanium implant will be needed. This is sometimes referred to as a fixture. It is the titanium screw piece which is inserted into the jaw bone. 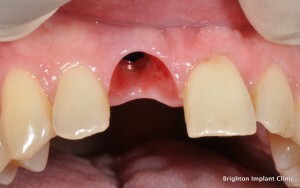 The abutment is a separate piece which usually connects the titanium implant to the crown. It is not usually visible in the mouth as it is inside the actual tooth. it acts as a support or core to the crown, bridge or denture. The restoration which can be either a crown, bridge or denture. Although the cost is an important factor when considering dental treatment it is by far not the most important one. Many patients travel to abroad to have implant treatment however don't always consider what would happen if an implant failed. 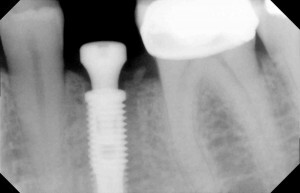 Implant failure unfortunately happens to all implant surgeons, irrespective of where they practice. In general 3-4 % of implants will fail and will require further treatment. In some cases it may require starting the whole process over again. Dental implants are the answer to many dental problems today. 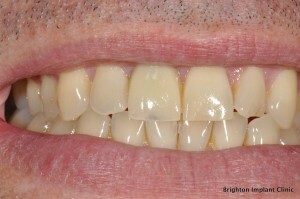 Many patients have benefited from having comfortable, fixed and natural looking teeth. The average cost of dental implants is likely to become more competitive in future as more dentists obtain the skills to place implants. With ever increasing advances in medicine the future of dentistry is bright with dental implants. For more information about Average Cost Of Dental Implants feel free to Contact Brighton Implant Clinic or Visit our Dental Implants Prices List .